touchscreen is great but somehow typing anything longer than a text messages becomes a chore. then we realize we misses something: the tactile touch. before the tactile touchscreen becomes a reality, we have to settle for an external keyboard for our touchscreen devices if we want a tactile feel. 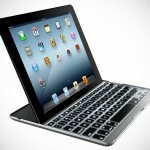 i admit, i felt less incline to compose emails on both my iPhone and iPad because it just don’t feel right. 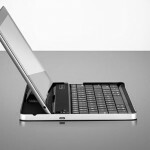 for iPhone, there are a few Bluetooth keyboard cases to quench our thirst for tactile touch. 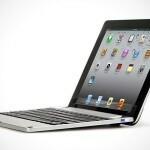 so why shouldn’t iPad has one? 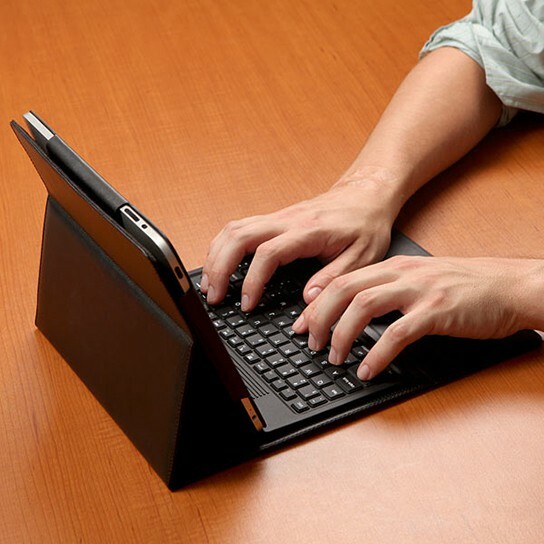 well, the ThinkGeek iPad Bluetooth Keyboard Case is the answer to our tactile woes. 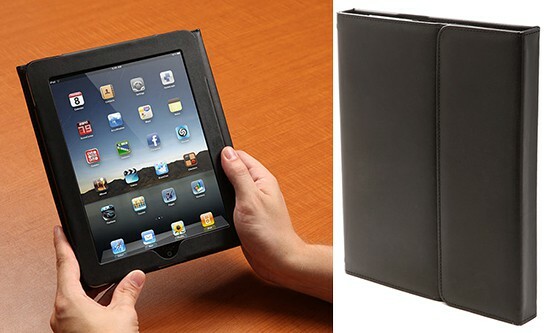 constructed of synthetic leather with magnetic flap which includes an integrated Bluetooth keyboard that is capable of 90 hours of continuous use. the long battery life means that you would have charged your iPad a few times over before the Bluetooth keyboard runs out of juice. 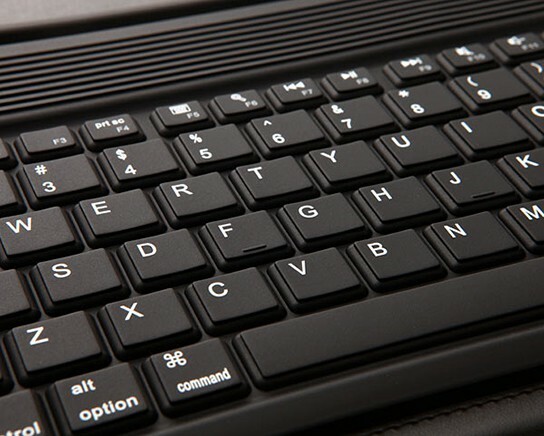 the keyboard is rechargeable via the included USB cable. 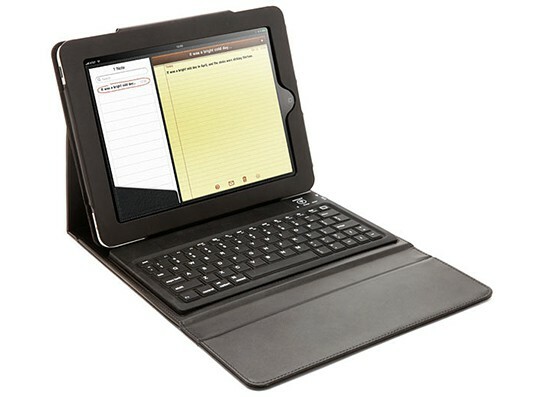 other features of the Bluetooth keyboard include dedicated Home, Volume, iPod Controls and Search key. 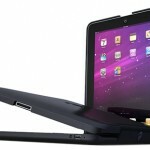 the case can be propped up horizontally at angle and together we the Bluetooth keyboard makes it look like a netbook. however, be prepared to add about 520 grams of weight to your iPad but then again, it is still lighter than the MacBook Air. a perfect match made in heaven. is it not so?